The Distant Frozen Home Of The Comets! 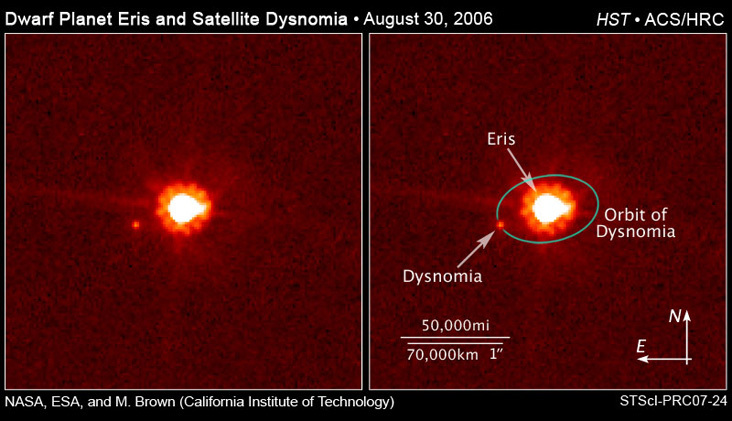 The scattered disc is a thick ‘donut-shaped’ region of the outer solar system and is a subset of the broader trans-Neptunian region. 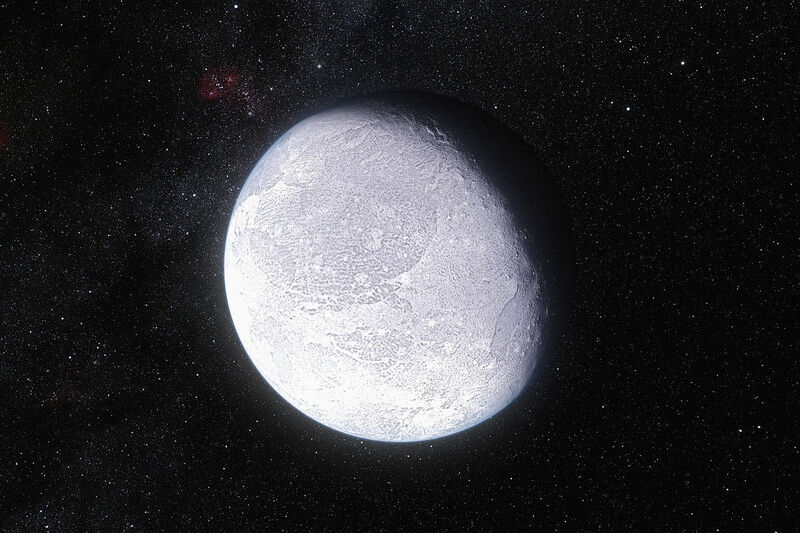 It is populated with icy minor planets that have orbits with high eccentricities as much as 0.8, inclinations away from the ecliptic as high as 40°, and never come closer than 30 AU (astronomical units i.e. the average distance of Earth to Sun) to the Sun. 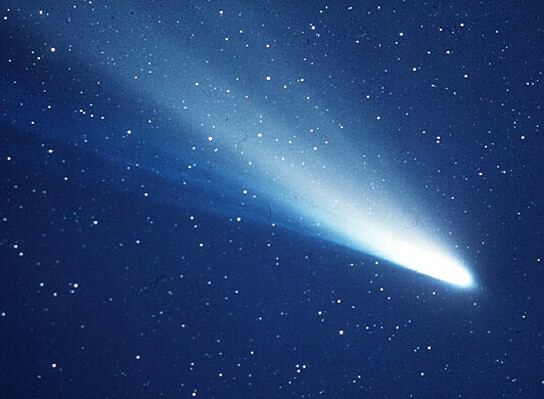 Due to their unstable and highly elliptical orbits astronomers now consider the scattered disc the origin for most periodic comets visiting the inner solar system. 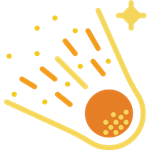 With the improvement in astronomical technology at the end of the 1990’s that made discovering distant faint objects possible, objects beyond the Kuiper belt began to be discovered. 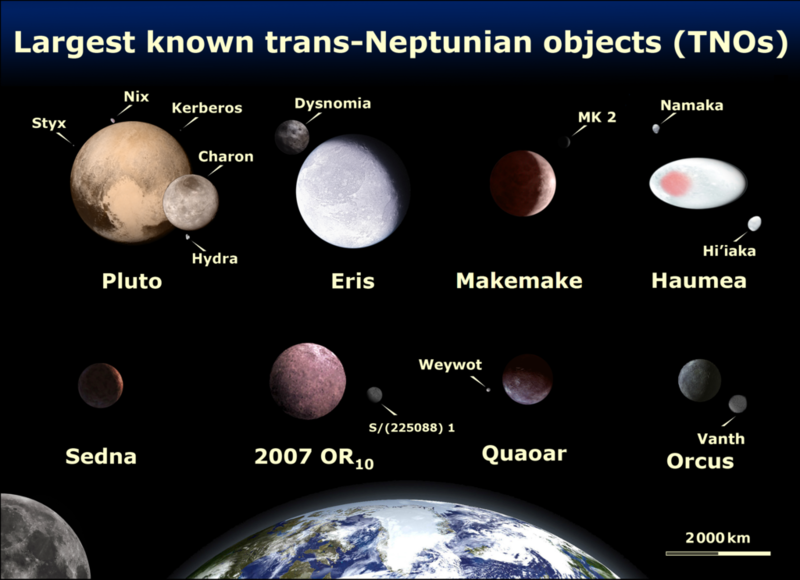 So the region of space beyond Neptune (trans-Neptunian) was divided into three subpopulations: the Kuiper belt, scattered disc and the Oort cloud. 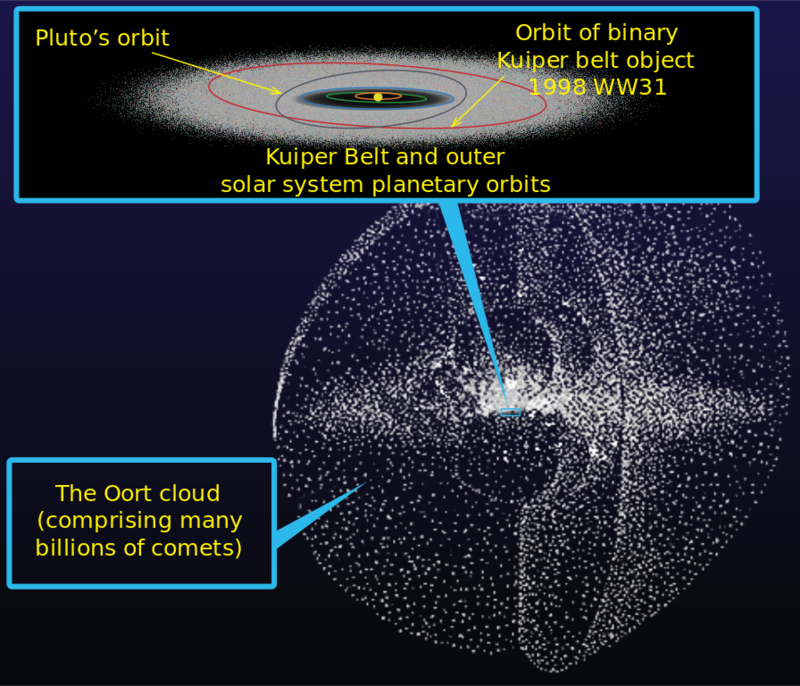 It is not well understood yet how the scattered disc objects were placed into their strange orbits beyond the more stable Kuiper belt objects. The models the scientists have tried to use involve a complex number of variables involving the possible migration of the outer Gas Giants during the formation of the solar system which may have gravitationally perturbed (and flung) many of the smaller outer bodies not in resonance with Neptune into eccentric orbits. 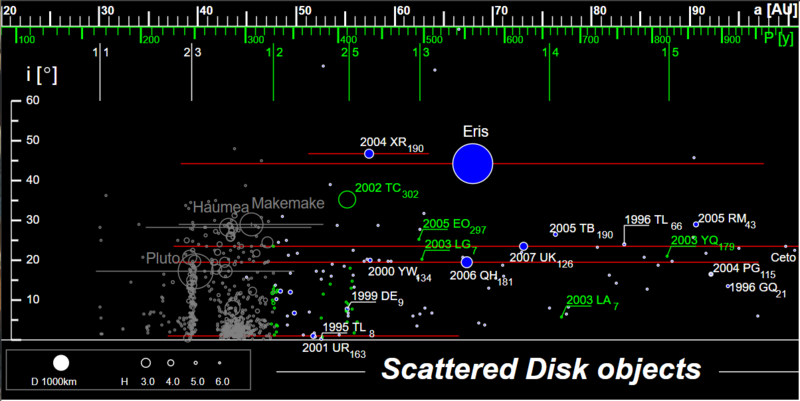 Several hundred scattered disc objects have been discovered with the dwarf planet Eris currently the largest known. The scattered disc is a dynamic environment as the bodies orbiting within it can be disturbed by Neptune’s gravity and be directed further out to the Oort cloud or inward to join the Centaur group of objects orbiting between Jupiter and Neptune. 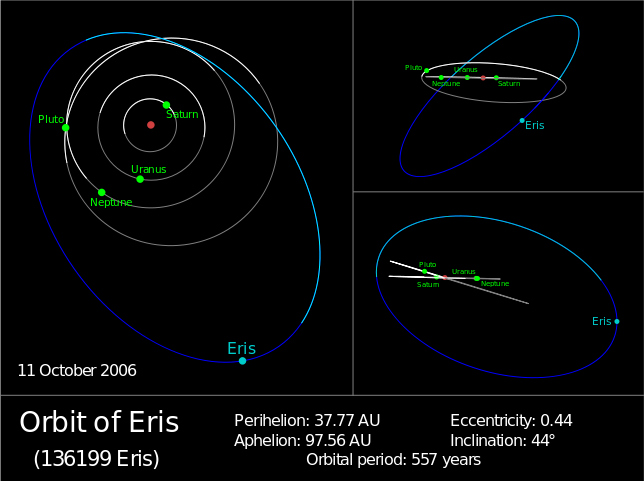 Scattered disc objects discovered to date typically have elliptical orbits with inclinations as much as 40 degrees from the ecliptic (the plane the Planets orbit around the Sun on), and orbit out beyond the Kuiper belt from 30 AU to as far away as 100 AU! That’s really far! 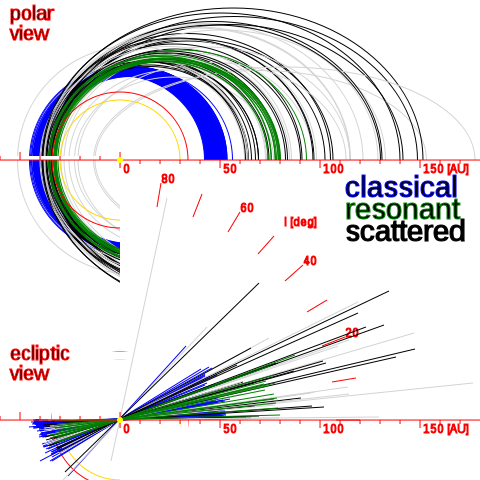 This type of highly elliptical orbit (of mainly small icy bodies that are dynamically influenced by Neptune’s gravity) is one reason scientists suspect that the Scattered disc is the source of many long-period comets!